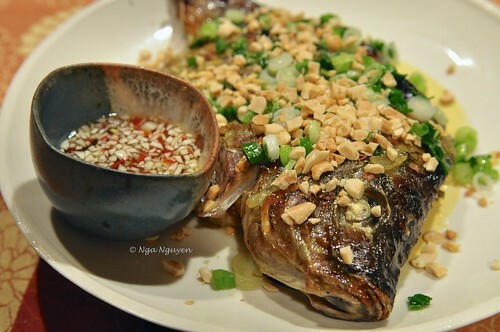 Grilled Fish with Scallion Oil (Cá nướng mỡ hành) – Come on in, I hope you are hungry! 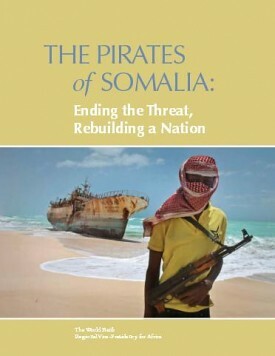 My hubby presented his paper of the pirates of Somalia at 12:30 last Wednesday. Hubby: It’s all about the methodology – very boring, babe. Hubby: We don’t provide free lunch? Me: Okay, you convinced me!! Clean and pat dry the fish. Make a few slits on both sides of the fish. Combine all ingredients (except the nuts). Marinate the fish for at least 3 hours, best over night. Line a roasting pan (with a roasting rack) with aluminium foil. Place the marinated fish on the rack, and bake for about 45 minutes (longer if you use bigger fish). Broil it for another 5 minutes. Before serving, top it with scallion oil (see recipe below) and roasted nuts. In a small sauce pan, heat the canola oil under medium heat. Add the rest of the ingredients, and turn off the heat right away. Alternatively, mix all ingredient together in a microwave-safe bowl, and put in the microwave for about 1-2 minutes.